2018 Luxury Aranwa Sacred Valley Hotel & Wellness in Urubamba, 30 minutes outside of Cusco, Peru! Bid Per Night and Choose Your Length of Stay! Click here to check out all of our South America offers. in Urubamba, 30 minutes outside of Cusco, Peru! 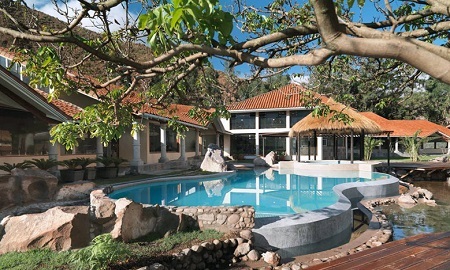 Tucked away in the gardens of the Sacred Valley and surrounded by the banks of the Vilcanota River, The Aranwa Sacred Valley hotel is a lavish wellness retreat for guests looking to embrace relaxation, luxury, and the Peruvian culture. 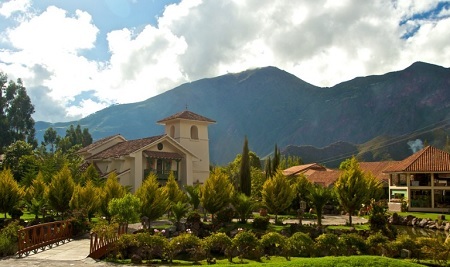 Located 30 minutes outside of Cusco, Aranwa Sacred Valley has a rich history that defines its ambiance. Built on the land of a colonial 17th century hacienda, the resort is a beautiful preservation of ancient Peruvian culture. Flooded with indigenous vegetation, wild llama and peacocks, and enclosed by the breathtaking Urubamba mountain range, Aranwa Sacred Valley is a sanctuary for nature lovers. The 115 well-appointed guestrooms are adorned with pops of historic Peruvian artwork and designed to welcome guests for a relaxing retreat. Four alluring restaurants serve an array of Peruvian delicacies with an emphasis on healthy eating and mindful preparation. The 26,900 sq ft Unno Spa provides guests an unwinding destination to relax the body and refresh the soul. A full-service wellness center is available to guests, offering an assortment of wellness programs, activities, and educational opportunities. Every detail at Aranwa Sacred Valley has been carefully prepared to ensure every guest has a rejuvenating visit sure to please. 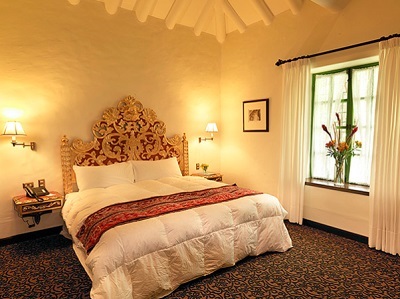 Offer is based on a Single or Double Occupancy in a Colonial King or 2 Queen Beds room. 300 Sq Ft / 28 Sq Mt. Colonial room with a King Size bed, complimentary WiFi, iPod docking station, and Temperature Control System. Stay a minimum of 1 Night or up to 12 Nights as desired and based on availability. Offer is based on single or double occupancy in standard room accommodations.